Abstracts invited by 1 April 2016 for oral and poster presentation. INRA (French Institute for Agronomical Research), SFAS (French Society of Sensory Analysis) and E3S (European Sensory Science Society) have the great pleasure to invite you to the 7th European Conference on Sensory and Consumer Research “A Sense of Time”. EuroSense is a very successful event gathering approximately 600 people involved in sensory and consumer research worldwide both in academics and in industry. It is a unique opportunity for discovering the latest innovations in this field and for making new contacts as well as meeting with colleagues and friends in a relaxed atmosphere. The topic of the 2016 conference is “A Sense of Time”… time of maturity, time for innovation, time as a measurement tool or time as an object of perception… no doubt that time can be of interest to the sensory community! 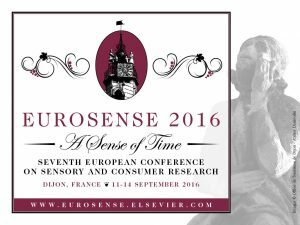 Further than time, contributions to EuroSense 2016 are welcomed in any topic linked to human senses of food and non-food products. Our aim is to build a scientific programme reviewing the latest knowledge, but also open to inspiring new ideas in both fundamental and applied research, as well as on methodological and technological developments. For that purpose, we will strongly promote the participation of students and young scientists by offering a number of travel grants. We will also favour proposals for innovative workshops. 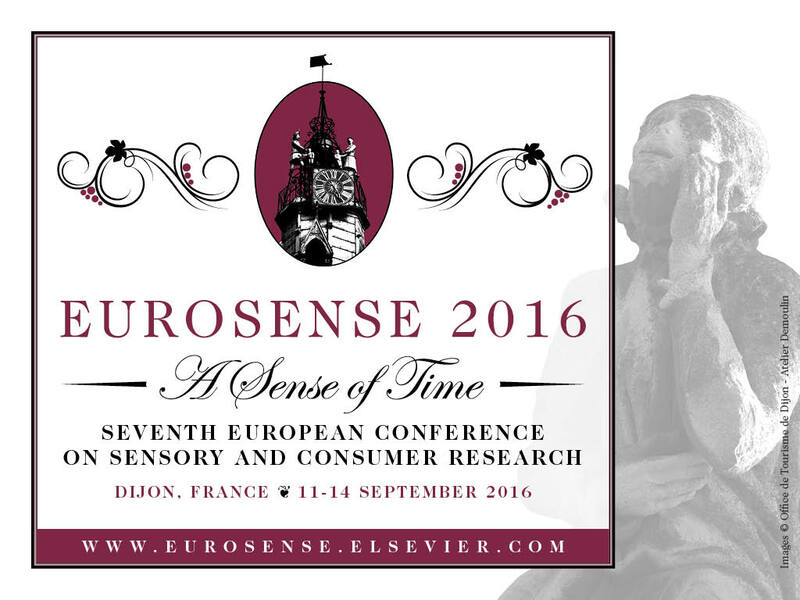 We hope that you will join us for the EuroSense 2016 Conference in Dijon, the city in France where most of the sensory research strengths have been gathered. Last, but not least, Dijon is the capital of Burgundy, the region in the world where wines from Pinot Noir and Chardonnay can reach divine perfection.